In this video we will discuss the use of Grouping function in SQL Server. This is continuation to Part 104. Please watch Part 104 from SQL Server tutorial before proceeding. 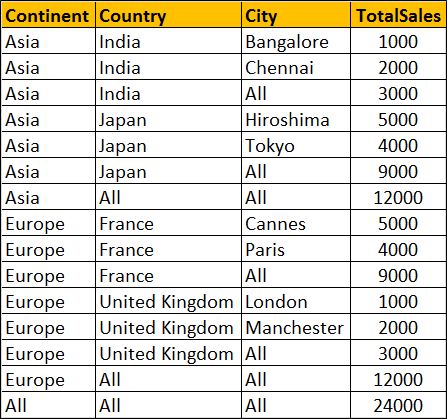 We will use the following Sales table for this example. 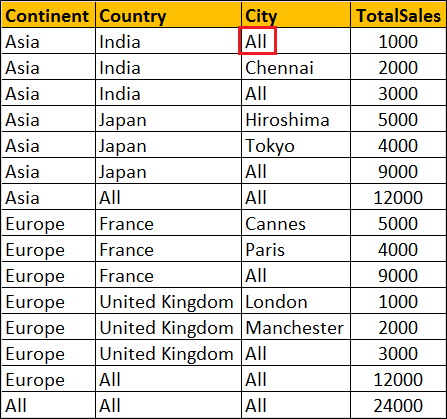 Grouping(Column) indicates whether the column in a GROUP BY list is aggregated or not. 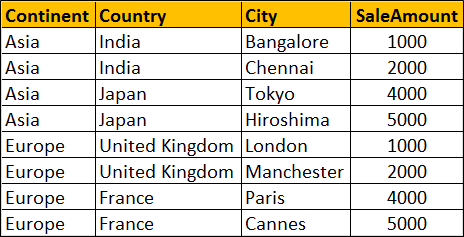 Grouping returns 1 for aggregated or 0 for not aggregated in the result set. 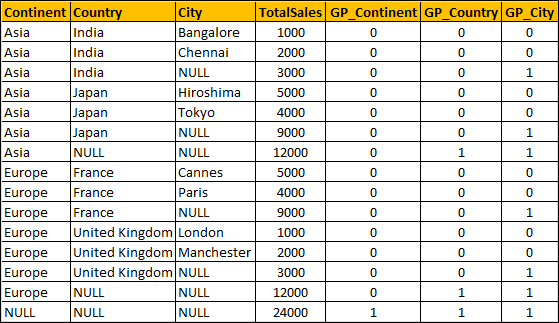 When a column is aggregated in the result set, the column will have a NULL value. If you want to replace NULL with All then this GROUPING function is very handy. Well, you can, but only if your data does not contain NULL values. Let me explain what I mean. Result : Notice that the actuall NULL value in the raw data is also replaced with the word 'All', which is incorrect. Hence the need for Grouping function. With due respect and humble submission, I have a small query to you. I have a requirement in an asp.net application that if the user is already logged in , and if he opens another browser window and tries to login again, the application should throw an error stating he is already logged in another browser window. Please upload the video in this regards as soon as possible. May be use can use an extra column in the i.e IsLogin of bit type in the User table.If the user is loggined set the respective bit and again if user try to make a login check that bit during authentication process. Again if the session exprires or user explicitly make a logout, reset the isLogin bit.